In 1947, Richard Thomas took his first airplane ride. That ride started a lifelong love of aviation and led to his founding of Belvidere Airport in 1972. Today, the airport continues to prosper under the ownership of Richard’s son Steve and wife Tina Thomas. 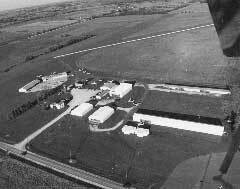 The airport, renamed Poplar Grove Airport in 1994, is located in northern Illinois near Rockford, 75 miles northwest of Chicago and only an hour drive from O’Hare International Airport. Over the last seven years the airport has experienced significant growth. The airplane population has grown from 45 based aircraft in 1994 to over 350 today, and is expected to reach 400 by 2005. Our strong customer focus and dedication to aviation were recognized when we were voted the Best Privately Owned General Aviation Airport in Illinois three times in the last ten years. 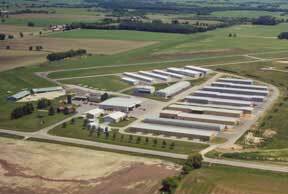 When fire destroyed our original maintenance facility in 1996, the decision was made to rebuild with an eye toward the future. Today, a modern 20,000+ square foot facility houses our maintenance shops, administrative offices, parts department and flight training’s ground school classroom. Our location and the services we offer have driven airport development. We are located in one of our country’s most densely pilot-populated areas with over 18,000 pilots, over 8,000 registered aircraft and general population totals of 15,000,000 within a two-hour drive of Poplar Grove. 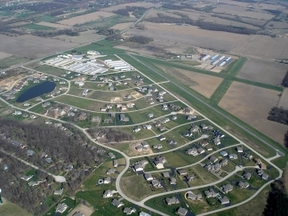 We have developed 180 acres of land adjacent to our primary runway into a Residential Airpark/Fly-In Community, Bel Air Estates, with 140 single family lots and 46 luxury condominiums. The future is bright at Poplar Grove Airport. Phase II of the airport development is being planned and will include an additional 150+ lots (most with airport access). In 1996, the Poplar Grove Vintage Wings & Wheels Museum was established to educate youth and preserve history. The museum compliments our area and airport as an intellectual asset.